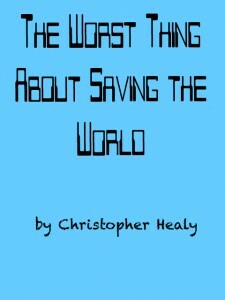 Christopher Healy: Chronicler of Heroic Shenanigans | The Worst Thing About Saving the World is Coming in 2015! « Character Interview: Cap’n Gabberman! For succeeding: You will not be left alone. No matter how badly you want it. For failing: Who knows what would happen. I know that I would feel horrible, because I didn’t just let my family down…I let the whole world down!